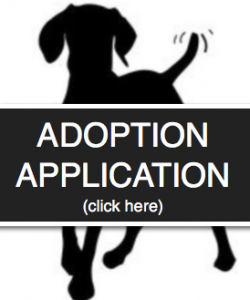 ADOPTION APPLICATION | Louisville Weimaraner Rescue Inc.
We welcome and appreciate your interest in providing a good home for a Weimaraner. You should research this breed to make sure it is the one for you. 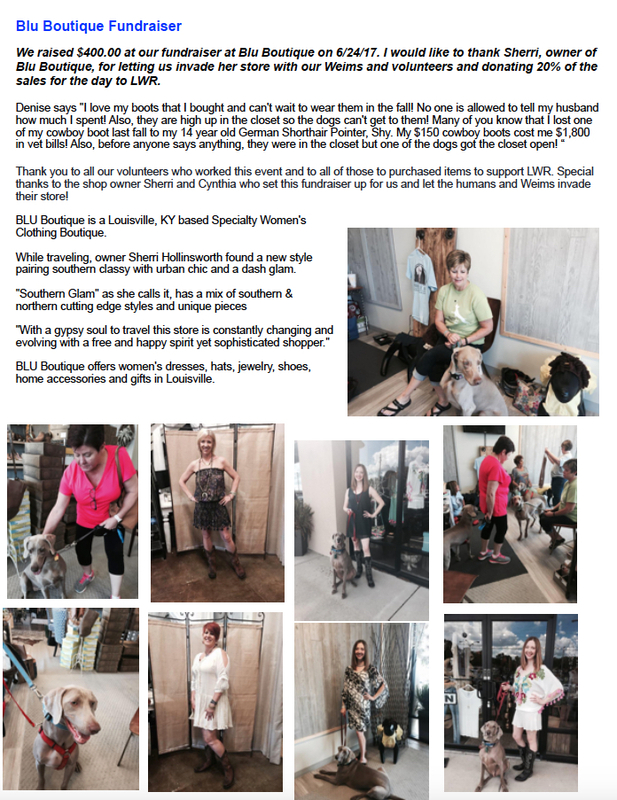 Information can be found at http://www.louisvilleweimrescue.com/about-the-breed/, http://www.theweimaraner.com, and http://www.justweimaraners.com. Please understand that your completion of this application does not guarantee that a suitable Weimaraner will be found for you. Please also understand that applicants are not placed on a waiting list in the order of the date of application. Rather, in each case of selecting a home for a Weimaraner, all applications will be considered equally. We do this in order to attempt to select the most suitable home for that Weimaraner in light of its health, personality, behavior and other factors. We attempt to select the most suitable Weimaraner for the home in light of the answers you have given below, the outcome of the personal phone interviews, the in-person meetings with the Weim(s), and the outcome of the required home visit and reference checks. Once we have received your completed application, we will call you to tell you more about our program, talk about your family and activities, and discuss the Weimaraners we may have in our program that match with you and your family. Please remember that we are all volunteers with LWR. We all have jobs, our own households, other responsibilities, and children (four- and two-legged) to take care of. It may be up to 2 weeks before we are able to give you a call to talk about Weimaraners. We ask that you be patient. In the event that a Weimaraner was to be considered for adoption by you, there would be a written contract between you and LWR. In the written contract, among other things, you would make certain agreements regarding your care of a Weimaraner. You would agree that the Weimaraner would be returned to LWR if you do not abide by the agreements or if you could no longer take care of the Weimaraner at any time in the future. Please understand that, while LWR will have had the Weimaraner examined by a veterinarian, LWR cannot make any guarantees regarding the health or physical condition of the Weimaraner. Understand too that all expenses after the adoption (including veterinary expenses) relating to the Weimaraner would be your responsibility. The Weimaraner will be spayed or neutered if over 6-9 months of age before you adopt it. There will also be an adoption fee from you to LWR to defray expenses relating to rescue efforts prior to your adoption. This does include the Weim will be current on his/her shots (puppies may not be old enough to receive a rabies vaccination prior to adoption), veterinarian checked, heartworm tested and started on heartworm preventative, and micro chipped. Unspayed or unneutered puppies are an additional $100 at the time of adoption. This $100 is refunded upon proof of surgery sent to Denise King by the puppy’s age of 9 months.